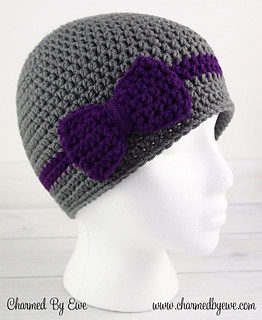 This pattern is easy to work and features a crochet bow pattern tutorial, for you to attach to your hat later. This crochet beanie looks striking in gray and a deep purple, as shown, but it can be made in any color for a stunning look. 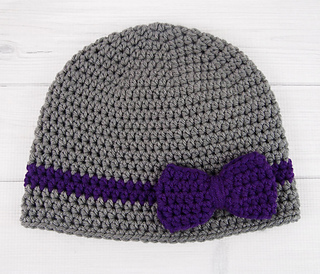 And though this pattern comes with a how-to on the bow, you can easily skip it and just have a striped crochet hat.